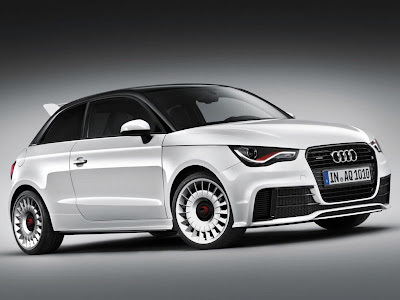 CAR GARAGE | 2013 Audi A1 quattro | The Audi A1 quattro sprints from zero to 100 km / h (62.14 mph) in 5.7 seconds and has a top speed of 245 km / h (152.24 mph). 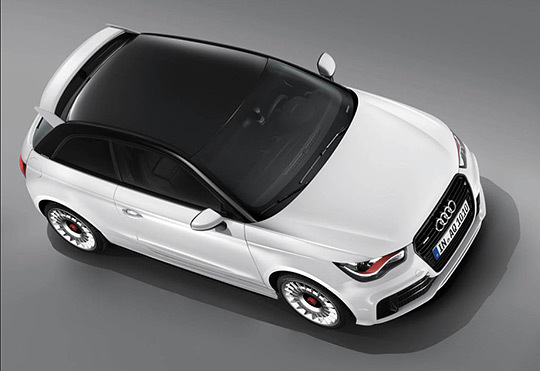 Audi A1 is crowning its Successful series models with an exclusive top-of-the-line model. The dynamic Audi A1 quattro, limited to just 333 units, moves to the head of the compact class. The Audi A1 quattro is powered by the 2.0 TFSI engine. The 1.984 cc, four-cylinder engine combines turbocharging with gasoline direct injection Audi in the classic manner. 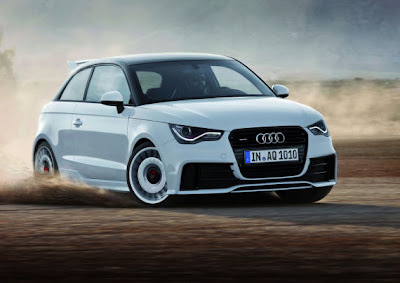 The 2.0 TFSI delivers its power to the quattro permanent all-wheel drive system via a precisely shifting six-speed transmission, Vorsprung durch Technique Bringing to the small-car class. The heart of this system is an electronically controlled, hydraulically actuated mufti-plate clutch Whose package of plates rotates in an oil bath. During normal driving, the clutch sends most of the engine's power to the front wheels. 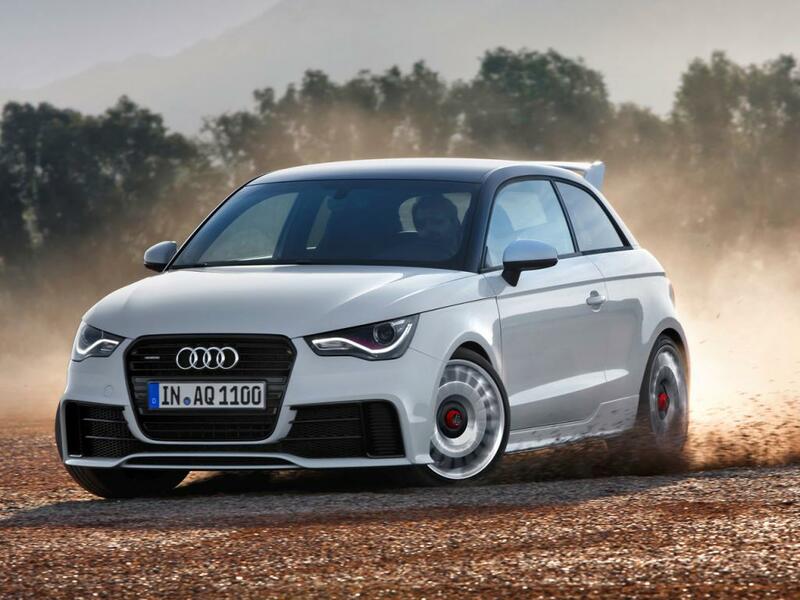 The Audi A1 quattro rolls on 8.0 J x 18 cast alloy wheels. It is available only in metallic Glacier White, and its roof is painted high-gloss black. The front bumper is muscular, the frame and grate of the single-frame grille are high-gloss black. The grille, the roof arch and the rear hatch sport quattro badges. The black color accentuates the rear hatch and the diffuser. The LED rear lights are tinted; the rear bumper sports a distinctive look. The Audi A1 quattro is 3.987 millimeters (13:08 ft) long, 1.740 millimeters (5.71 ft) wide and 1.416 millimeters (4.65 ft) tall, making it somewhat longer than the models on the which it is based. Cool, sporty black dominates the interior of the Audi A1 quattro. The S sport seats up front have pronounced bolsters, integrated head restraints and a quattro badge on the backrest covers. The seats feature mufti-way adjustment. 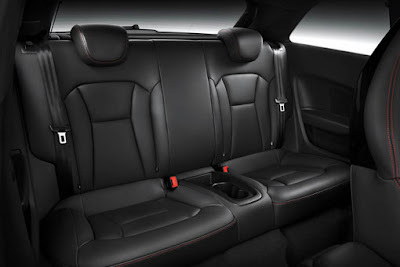 Red seams frame the floor mats, door sill trims and the bear A1 quattro badges. The multifunction sport steering wheel is flattened at the bottom, wrapped in leather with contrasting red stitching and the sports car's serial number. It includes many features taken directly from the luxury class, Including xenon plus headlights, high-beam assistant, adaptive brake lights, LED interior lighting package, light and rain sensor, automatically dimming interior mirror, rear parking system, automatic air conditioning, alarm system , storage package, convenience keys and cruise control. Audi uses the Bluetooth connect online car phone to connect to the Internet and deliver special web services, Including Google Earth, to the car.